KateOS was an independently developed light-weight Linux distribution. Some of its concepts were derived from Slackware Linux. Rate this project The GhostBSD project produces a desktop-oriented operating system based on FreeBSD. The GhostBSD project has announced the availability of a new test release, GhostBSD 11.0-ALPHA1, which is based on FreeBSD 11. The new alpha snapshot includes the latest NVIDIA video drivers and introduces the Whisker Menu as the default application menu for the Xfce desktop. "GhostBSD 11.0 ALPHA1 is ready! This alpha release is ready for testing and to be use in production there will be no need to reinstall other development release of GhostBSD 11.0 since the update manger will push update of GhostBSD. All MATE and Xfce images are available with i386 and amd64 architectures. New features: Latest NVIDIA drivers installed by default; Whisker Menu as default application menu of Xfce." This alpha snapshot also includes a number of fixes for the Xfce desktop and one for ZFS, an advanced file system. Further details can be found in the project's release announcement. Download (pkglist): GhostBSD11.0-ALPHA1-mate-amd64.iso (1,961MB, SHA256), GhostBSD11.0-ALPHA1-xfce-amd64.iso (1,855MB, SHA256). The GhostBSD project develops a desktop friendly operating system based on FreeBSD. The project has updated its 10.x series with the launch of GhostBSD 10.3. The new version supports booting on UEFI-enabled computers, supports ZFS volumes and includes VirtualBox modules. "What changed in GhostBSD 10.3? The installer partition editor UI and partitioning have been improved. VirtualBox additions will be uninstall after installer if it is not running in VirtualBox. Slim is replacing GDM. Network Manager displays the full SSID. Replaced the HTML/CSS installation slide with a GTK+/CSS the slide." The new release also features several bug fixes. "Network Manager SSID list. VirtualBox support. Install on MBR partition issue, Some installer text errors. Keyboard layout after installation with MATE. Network Manager slowness to open the menu. Network Manager icon tray crash. Local time has been fixed. Fix boot partition for GPT to supports FreeBSD boot, BIOS boot and EFI..." Additional details can be found in the project's release announcement. Download (pkglist): GhostBSD10.3-RELEASE-mate-amd64.iso (1,849MB, SHA256), GhostBSD10.3-RELEASE-xfce-amd64.iso (1,731MB, SHA256). Eric Turgeon has announced the availability of the first release candidate for the upcoming stable release of GhostBSD 10.3: "GhostBSD 10.3 RC1 is ready for testing for the i386 and amd64 (including amd64-uefi) architectures. What has been fixed: installer ZFS mirror and zraid setup; installer custom partition problem; installer UEFI partition; installer /boot problem; 4k partition alignment; Network Manager long SSID name, slowness to open menu and icon tray crash. What has changed: Slim replaces GDM; ZFS disk encryption has been blocked and this feature should be available in GhostBSD 11. What is new: installer custom partition creation subjection; VirtualBox support, install at boot time if needed; full UEFI support. Known problems: keyboard layout after installation still US; Slim does not respect keyboard layout." Here is the complete release announcement. Interested testers can download the live DVD images from SoruceForge (pkglist): GhostBSD10.3-RC1-mate-amd64.iso (1,850MB, SHA256), GhostBSD10.3-RC1-xfce-amd64.iso (1,731MB, SHA256). Eric Turgeon has announced that the first beta release of the upcoming GhostBSD 10.3, a desktop-oriented operating system based on FreeBSD, is now ready for download and testing: "GhostBSD 10.3-BETA1 is ready for testing. This first beta development release is ready for testing and debugging new features in GhostBSD 10.3; MATE and Xfce editions are available on SourceForge for the i386, amd64 and amd64-uefi architectures. What has been fixed? Localtime time has been fixed; installer support for UEFI; fix boot partition for GPT to supports freebsd-boot, bios-boot and EFI. We encourage you to use our issue system to report bug. The more issues are reported, the more of them will be fixed before the final release." Here is the brief release announcement with information on how to write the ISO images onto USB storage devices. Download the live images from SourceForge (pkglist): GhostBSD10.3-BETA1-mate-amd64.iso (1,860MB, SHA256), GhostBSD10.3-BETA1-xfce-amd64.iso (1,720MB, SHA256). Eric Turgeon has announced the availability of the second alpha build of the upcoming GhostBSD 10.3, a new version of the a desktop-oriented operating system based on FreeBSD 10.3: "This second alpha release is for testing and debugging the new features in GhostBSD 10.3. MATE and Xfce editions are available on SourceForge for the i386, amd64, and amd64-uefi architectures. New feature: UEFI is now supported for 64-bit platforms. What has been fixed: gbi log and partition database are now deleted when closing gbi; resetting partition database when going back to the installation type; 4K partition alignment; networkmgr full SSID name; system Update duplicating the whole install under /boot/kernel.old; gbi 'back' button error; sudo configuration; wifi down by default; /etc/localtime not created by installer; locales are not correctly set up on installation; missing kern.vty=vt setting in grub.cf." Read the rest of the release announcement for a full list of new features and bug fixes. Download (pkglist): GhostBSD10.3-ALPHA2-mate-amd64.iso (1,838MB, SHA256), GhostBSD10.3-ALPHA2-mate-amd64-uefi.iso (1,825MB, SHA256), GhostBSD10.3-ALPHA2-xfce-amd64.iso (1,718MB, SHA256), GhostBSD10.3-ALPHA2-xfce-amd64-uefi.iso (1,705MB, SHA256). Eric Turgeon has announced the availability of a new testing release for the GhostBSD operating system. GhostBSD is a desktop-oriented project that is based on FreeBSD. The new version, GhostBSD 10.3-ALPHA1, supports installation of both UFS and ZFS file systems, the desktop environment has been updated to MATE 1.12 and software packages will be updated quarterly instead of on a rolling release model for increased stability. "Yes we skip 10.2 for 10.3 since FreeBSD 10.3 was coming we thought we should wait for 10.3. This is the first alpha development release for testing and debugging of GhostBSD 10.3, only the MATE edition has been released which is available on SourceForge for the amd64 and i386 architectures. What's new? GhostBSD now supports ZFS and UFS file systems; the installer support encryption for ZFS; GhostBSD software will be updated quarterly, this will bring more stability, but the user will still be able to update to the latest version." Additional details can be found in the project's release announcement. Download: GhostBSD10.3-ALPHA1-mate-amd64.iso (1,838MB, SHA256, pkglist). Eric Turgeon has announced the final release of GhostBSD 10.1, the latest stable version of the project's FreeBSD-based operating system with a choice of MATE or Xfce desktop environments: "After a year of development, testing and debugging we are pleased to announce the release of GhostBSD 10.1 MATE and Xfce which are available from SourceForge for the amd64 and i386 architectures. What's new? GhostBSD ISO image is hybrid and it can be burnt on DVD or USB sticks; Xfce is back; users can choose to install the BSD boot manager, the GRUB boot manager or no boot manager; Station Tweak, a fork of MATE Tweak; OctoPkg GUI frontend for pkgng written in Qt; Station Update Manager to update FreeBSD base system and third party software; software from pkg or ports can be installed in the live DVD/USB session; VT Console by default; instant verification for user and root to know if the password is strong and it it matches the one in the system installer...." Read the rest of the release announcement for more details. Download (pkglist): GhostBSD10.1-RELEASE-20150912-mate-amd64.iso (1,828MB, SHA256); GhostBSD10.1-RELEASE-20150912-xfce-amd64.iso (1,686MB, SHA256). Eric Turgeon has announced that the second beta build of GhostBSD 10.1, an upcoming new version of the project's FreeBSD-based desktop operating system, is now ready for testing. Unlike the previous development releases, GhostBSD 10.1-BETA2 is available in two separate flavours - with MATE or Xfce desktop environments. From the release announcement: "We are pleased to announce the availability GhostBSD 10.1 BETA2 MATE and Xfce for the amd64 and i386 architectures. Changes and fixes between 10.1-BETA1 and 10.1-BETA2 include: GhostBSD ISO image is hybrid and can be transferred on a DVD or USB stick; Xfce as been added back to the project; the installer partition editor has been improved at the UI and system level; the user can choose to install the BSD boot manager, GRUB boot manager or none; the installation problem that failed to copy has been fixed; software from pkg or ports can be now installed on a live DVD/USB session; software installed before the installation of GhostBSD will be available after hard disk installation; PCDM locales and keyboard layout are now functional...." Download (pkglist): GhostBSD10.1-BETA2-mate-amd64.iso (1,642MB, SHA256); GhostBSD10.1-BETA2-xfce-amd64.iso (1,532MB, SHA256). Eric Turgeon has announced the availability of the first beta build of GhostBSD 10.1, an upcoming new version of the project's FreeBSD-based operating system featuring the MATE desktop: "I am pleased to announce the availability of the first beta build of the 10.1-RELEASE release cycle which is available on SourceForge for the amd64 and i386 architectures. Changes and fixes between 10.1-ALPHA2 and 10.1-BETA1 include: mouse integration support for VirtualBox; instant verification for user and root to know if the password is strong and if it matches with the system installer; host name and user name auto completion when typing the real name; Guake has been added as default software; Vim has been added as default software; PCDM Locales fixed. Please be aware that this release provides beta testers and developers with a system to test out new features for the upcoming release. This release may contain buggy code and features, so we encourage you to run it only on non-critical systems." See the brief release announcement for full details. Download (MD5): GhostBSD10.1-BETA1-amd64.iso (1,719MB). Eric Turgeon has announced the availability of the first alpha release of the upcoming GhostBSD 10.1, a FreeBSD-based operating system with MATE 1.8 as the preferred desktop: "I am pleased to announce the availability the fist alpha build of the 10.1-RELEASE Release cycle which is available on SourceForge for the amd64 and i386 architectures. Changes and fixes between 4.0-RELEASE and 10.1-ALPHA1 include: GDM has been replaced by PCDM; Wifimgr is now fully replaced by Networkmgr; a beta version of Update Station is now in GhostBSD with update FreeBSD base system and software; the installer partition editor received many improvements; the installer use the latest pc-sysinstall from PC-BSD's GitHub. GhostBSD is now following the same release number as FreeBSD and PC-BSD. Please be aware that this release provides beta testers and developers with a system to test out new features for the upcoming release. This release may contain buggy code and features, so we encourage you to run it only on non-critical systems." Here is the brief release announcement. Download (MD5) the live DVD image from SourceForge: GhostBSD10.1-ALPHA1-amd64.iso (1,707MB, pkglist). Eric Turgeon has announced the release of GhostBSD 4.0, a major new version of the project's FreeBSD-based operating system for the desktop, with MATE as the preferred desktop environment: "The GhostBSD team is pleased to announce the availability of GhostBSD 4.0 'Karine'. This is the first release of the 4.x branch, which is based on FreeBSD 10 and which introduces some new features. Highlights: GCC is no longer installed by default, Clang is the default compiler; make(1) has been replaced with bmake(1) obtained from the NetBSD Project; pkg(7) is now the default package management utility; pkg_add(1), pkg_delete(1), bxpkg and related tools have been removed; Networkmgr is the default network manager; MATE is the default desktop; three workstation to choose from. GhostBSD 4.0-RELEASE is now available for the amd64 and i386 architectures, it can be installed from bootable ISO images or from USB memory sticks." Here is the full release announcement with screenshots. Download (SHA256) from SourceForge: GhostBSD4.0-RELEASE-amd64.iso (1,212MB, pkglist). Eric Turgeon has announced that the first release candidate for the upcoming GhostBSD 4.0, a FreeBSD-based operating system for the desktop, is now ready for testing: "The GhostBSD team is pleased to announce the availability the fist RC build of the 4.0-RELEASE release cycle which is available on SourceForge for the amd64 and i386 architectures. Changes and fixes between 4.0-BETA3 and 4.0-RC1 include: Xconfig from 3.5 was added back to system; a script is added to do configuration on the first boot of the new installation; fixed software dependency. A special thanks to those who had reported issues. Please be aware that this release provides users and developers with a system to test out new features for the upcoming release. This release is a RC test build and may contain buggy features, so we encourage you to run it only on non-critical systems." Here is the brief release announcement with screenshots and bug reporting instructions. Download (MD5) from here: GhostBSD4.0-RC1-amd64.iso (1,216MB). Eric Turgeon has announced the availability of the third beta build of GhostBSD 4.0, a desktop-oriented operating system (with MATE), based on FreeBSD: "The GhostBSD team is pleased to announce the availability the third beta build of the 4.0-RELEASE release cycle is available on SourceForge for the amd64 and i386 architectures. This is expected to be the final beta build of the 4.0-RELEASE cycle. This release includes some bug fixes as well as new and updated packages. This release also includes the changes of direction GhostBSD is taking, three workstations built on top of MATE desktop - Classic, Purity and Element. New feature added: first boot selector to choose the workstation to use with GhostBSD; X.Org boot configuration; CLI driver configuration; Plank has been added. Changes and fixes between 4.0-BETA2 and 4.0-BETA3 include: fix GBI entire installation option; GBI slide has been updated; FreeBSD base system updated to 10.0-RELEASE-p6." See the release announcement for more information and screenshots of the three desktop layout options. Download (MD5): GhostBSD4.0-BETA3-amd64.iso (1,253MB, pkglist). Eric Turgeon has announced the availability of the second beta build of GhostBSD 4.0, a FreeBSD-based operating system with MATE as the preferred desktop environment: "The second beta build of the 4.0-RELEASE cycle is available on SourceForge for the amd64 and i386 architectures. Changes and problems fixed between 4.0-BETA1 and 4.0-BETA2 include: fix rsync to avoid to copy the tmp and mnt directory during installation; update Networkmgr to 0.5 pre-release; users who omit the root partition will be warned by a window dialog; GBI partition editor have received lots of tweaks to avoid errors; GBI now partitions when installing; network with 'Live Image' should now work under VirtualBox or VMware Workstation. Known issues: X.Org fails to load MATE for some Intel and ATI graphics drivers. Issues fixed that need testing: installer copying file flawlessly; network in live environment." See the release announcement for more information and a screenshot. Download (MD5): GhostBSD4.0-BETA2-amd64.iso (1,259MB). Eric Turgeon has announced the availability of the first beta build of GhostBSD 4.0, a FreeBSD-based operating system with MATE as the preferred desktop environment: "The first beta build of the 4.0-RELEASE release cycle is available on SourceForge for the amd64 and i386 architectures. Changes and problems fixed between 4.0-ALPHA3 and 4.0-BETA1 include: switch cpio to rsync for copying file on the installation; the kernel is now writable on live DVD which enables graphic card kernel loading for Intel and ATI; updated FreeBSD 10.0-RELEASE to FreeBSD 10.0-RELEASE-p3. Known issues: network with 'Live Image' does not work in VirtualBox - the workaround is to install the OS; GBI allows users to create a partition layout without a root partition. Issues fixed that need testing: installer fails to copy files in a virtual machine; X.Org fails to load MATE." Here is the complete release announcement with a screenshot and bug reporting instructions. Download (MD5) link: GhostBSD4.0-BETA1-amd64.iso (1,289MB). Eric Turgeon has announced the availability of the third alpha build of GhostBSD 4.0, a FreeBSD-based operating system featuring the MATE desktop environment: "After a long time the third alpha build of the 4.0-RELEASE release cycle is available on SourceForge for the amd64 and i386 architectures. Changes and problem fixed between 4.0-ALPHA2 and 4.0-ALPHA3 include: network after install work on VirtualBox; added back wifimgr for better WiFi support until networkmgr works flawlessly; removed GIMP since it is easily installable with 'sudo pkg install gimp'; removed all software that depends on Nautilus like Rhythmbox and gksu; Exaile replaces Rhythmbox; the GhostBSD user is now removed after installation; new experimental look. Known issue: network in live VirtualBox does not work." Here is the full release announcement with a screenshot and bug reporting instructions. Download (MD5) the live DVD image from SourceForge: GhostBSD4.0-ALPHA3-amd64.iso (1,289MB). The second alpha build of the upcoming GhostBSD 4.0, a FreeBSD-based operating system supporting the most popular lightweight and fully-featured desktop environments, has been unleashed: "The second ALPHA build of the 4.0-RELEASE release cycle is now available on SourceForge for the amd64 and i386 architectures. Changes and problems fixed between 4.0-ALPHA1 and 4.0-ALPHA2 include: Network Manager permission fixed, Network Manager packaging fixed, GhostBSD GBI Installer for virtual box fixed, auto partitioning for virtual box fixed, installing on an entire disk fixed. Known issue: Network in Virtualbox does not work." Here is the brief release announcement. Download (MD5): GhostBSD4.0-ALPHA2-amd64.iso (2,007MB). Eric Turgeon has announced that the first alpha build of the upcoming GhostBSD 4.0, a FreeBSD-based operating system featuring the MATE desktop environment, is now ready for download and testing: "The first ALPHA build of the 4.0-RELEASE release cycle is now available on SourceForge for the amd64 and i386 architectures. Changes between 3.5-RELEASE and 4.0-ALPHA1 include: FreeBSD 9.2-RELEASE to FreeBSD 10.0-RELEASE; 4.0-RELEASE is MATE only; SpiderOak is now part of the default install; LibreOffice is back due to the failure to compile OpenOffice.org with Clang; new GBI partition editor interface; webcamd installed but not preconfigured; new network manager; pkg_add replaced by pkgng; bxpkg has been remove from the project; Midnight Commander has been added; Nano has been added. Please be aware this release provides willing users, beta testers and developers with a system to test out new features in the upcoming release." Here is the brief release announcement. Download (MD5): GhostBSD4.0-ALPHA1-mate-amd64.iso (2,007MB). Eric Turgeon has announced the release of GhostBSD 3.5, a new version of the project's FreeBSD-based operating system offering a choice of LXDE, MATE, Openbox and Xfce desktop user interfaces: "The GhostBSD team is pleased to announce the availability of GhostBSD 3.5 'Levi'. This is the third release from the 3.x series, which improves GhostBSD 3.1 and introduces some new features. Some of the highlights: OpenSSL has been updated to version 0.9.8y; DTrace hooks have been enabled by default in the GENERIC kernel; DTrace has been updated to version 1.9.0; Sendmail has been updated to version 8.14.7; OpenSSH has been updated to version 6.2p2; GNOME 2.32 has been replace by MATE 1.6; Xfce 4.10 is now part of desktop choice; GhostBSD BSM theme with custom Faenza icon; MATE, Xfce and LXDE contain a more uniform set of software...." Here is the full release announcement. Download (SHA256) links: GhostBSD3.5-lxde-amd64.iso (1,764MB), GhostBSD3.5-mate-amd64.iso (1,851MB), GhostBSD3.5-openbox-amd64.iso (697MB), GhostBSD3.5-xfce4-amd64.iso (1,767MB). Eric Turgeon has announced the availability of the second release candidate for GhostBSD 3.5, a desktop-oriented operating system offering a choice of several lightweight and more traditional desktop user interfaces: "The second release candidate builds of the 3.5 release is now available on SourceForge for LXDE and Xfce on amd64 and i386 architectures. Changes between RC1 and RC2 include: FreeBSD 9.2-RC4 to FreeBSD 9.2-RELEASE; i386 Openbox menu has been fixed; the installer's 'Custom Partitioning' option windows title has been modified. Known issues: the Bxpkg update manager doesn't work properly and can harm the system if used; the GDM mouse might hang, but should be usable. We look forward to receiving your feedback. Thank you for using GhostBSD and have fun testing the RC!" Here is the brief release announcement with screenshots. Download (SHA256) your preferred edition from SourceForge: GhostBSD3.5-RC2-lxde-amd64.iso (1,762MB), GhostBSD3.5-RC2-mate-amd64.iso (1,848MB), GhostBSD3.5-RC2-openbox-amd64.iso (690MB), GhostBSD3.5-RC2-xfce4-amd64.iso (1,764MB). Eric Turgeon has announced the availability of the first release candidate for the upcoming GhostBSD 3.5. GhostBSD is a desktop-oriented operating system offering a choice of four different desktop user interfaces - LXDE, MATE, Openbox and Xfce. From the release announcement: "The first release candidate builds of the 3.5 release is now available on SourceForge for LXDE and Xfce on amd64 and i386 architectures. Please be aware that this release provides users, beta testers and developers with a system to test out new features in the upcoming release. RC1 may contain buggy code and features, so we encourage you to run it only on non-critical systems. Changes between beta 3 and RC1 include: FreeBSD 9.2 RC3 to RC4; installer progress black window fixed; bxpkg package manager 'fail to start due to some GTK+ issue' is fixed; MATE BSM theme is fixed; new GDM login theme." Download (SHA256): GhostBSD3.5-RC1-lxde-amd64.iso (1,775MB), GhostBSD3.5-RC1-mate-amd64.iso (1,861MB), GhostBSD3.5-RC1-openbox-amd64.iso (695MB), GhostBSD3.5-RC1-xfce4-amd64.iso (1,778MB). Eric Turgeon has announced that the third beta release of GhostBSD 3.5, a FreeBSD-based operating system featuring LXDE, MATE, Openbox and Xfce desktops, is now ready for download and testing: "The third beta build of the 3.5 development release is now available on SourceForge for LXDE and Xfce on amd64 and i386 architectures. Please be aware that this release provides users, beta testers and developers with a system to test out new features in the upcoming release, but it may contain buggy code and features, so we encourage you to run it only on non-critical systems. Changes between beta 2 and beta 3 include: FreeBSD 9.2 RC2 to RC3; removed Caja in Xfce and LXDE; replaced Atril by ePDFViewer; MATE and Openbox images. Known issues: Bxpkg package manager fails to start due to some GTK+ issues; Gksu is missing." Here is the brief release announcement with screenshots. Download (SHA256): GhostBSD3.5-BETA3-lxde-amd64.iso (1,767MB), GhostBSD3.5-BETA3-mate-amd64.iso (1,826MB), GhostBSD3.5-BETA3-openbox-amd64.iso (683MB). The Xfce edition was not available at the time of writing. Eric Turgeon has announced the availability of the second beta build of GhostBSD 3.5, a FreeBSD-based operating system with the choice of Xfce or LXDE desktops: "The second beta build of the 3.5 development release is now available on SourceForge with LXDE and Xfce on amd64 and i386 architectures. Please be aware this release provides users, beta testers and developers with a system to test out new features in the upcoming release. It may contain buggy code and features, so we encourage you to run it only on non-critical systems. Changes between -BETA1 and -BETA2 include: FreeBSD BETA2 to RC2; fix amd64 divers packages; fix amd64 and i386 packages. Known issues: Caja is in both Xfce and LXDE editions; Openbox and MATE editions are not yet ready, chances are that they will be released before beta 3. We look forward to receiving your feedback. Thank you for using GhostBSD and have a lot of fun testing the beta!" Here is the brief release announcement with a couple of screenshots. Download (SHA256): GhostBSD3.5-BETA2-xfce4-amd64.iso (1,836MB), GhostBSD3.5-BETA2-lxde-amd64.iso (1,818MB). The first beta version of GhostBSD 3.0, a FreeBSD-based operating system for the desktop, is now ready for testers: "Eric has announced the availability of the first Xfce beta development images for the upcoming GhostBSD 3.5. This release provides users and developers with a system to test out new features in the upcoming release. This beta may contain buggy code and features, so we encourage you to run it only on non-critical systems. New additions to GhostBSD 3.5: FreeBSD 9.2; replacing GNOME 2 by MATE 1.6; Xfce 4.10; updated graphical installer; GTP disk scheme supported by the installer; installer free disk option added; LibreOffice has been replaced by Apache OpenOffice.org... GhostBSD LXDE, Openbox and MATE are not yet ready. Chances are that some will be released on 3.5 beta 2 or 3." Here is the brief release announcement. Download (MD5): GhostBSD3.5-BETA1-xfce4-amd64.iso (1,405MB). Eric Turgeon has announced the release of GhostBSD 3.1, an updated version of the project's desktop-oriented operating system based on FreeBSD, with a choice of GNOME 2, LXDE and Openbox desktop user interfaces: "GhostBSD 3.1 is now available. This release is a respin of 3.0, including many bug fixes. GhostBSD 3.1 does not include any updated package or new features; it only fixes issues that some users have found. Changes: update FreeBSD 9.1 to FreeBSD 9.1-p4; improvements in the X.Org auto-configuration; the NVIDIA drivers have bean removed to fix issues with older cards; numerous bug fixes to GhostBSD-related utilities; Openbox and LXDE amd64 ISO images fit on CD again; the package manager and pkg_add are functional again." Here is the brief release announcement. Download (SHA256): GhostBSD3.1-gnome2-i386.iso (972MB, torrent), GhostBSD3.1-lxde-i386.iso (603MB, torrent), GhostBSD3.1-openbox-i386.iso (639MB, torrent). Eric Turgeon has announced the release of GhostBSD 3.0, a FreeBSD-based operating system for the desktop with a choice of GNOME 2, LXDE and Openbox user interfaces: "The GhostBSD team is pleased to announce that version 3.0 is now available. This release includes many new features and enhancements, such as improved system installer, Openbox window manager and much more. Form GhostBSD: improvements of the auto-configuration wireless networking script; auto-configuration of X.Org; NVIDIA drivers ready; 3D acceleration is supported on some Intel graphics cards; numerous bug fixes to GhostBSD-related utilities. From FreeBSD 9.1: new Intel GPU driver with GEM/KMS support; netmap(4) fast userspace packet I/O framework ZFS improvements from the Illumos project...." Here is the complete release announcement. Download links (SHA256): GhostBSD3.0-gnome2-amd64.iso (1,166MB), GhostBSD3.0-lxde-amd64.iso (752MB), GhostBSD3.0-openbox-amd64.iso (721MB). Eric Turgeon has announced the availability of the fourth release candidate for GhostBSD 3.0, a FreeBSD-based operating system for the desktop: "A fourth development release candidate for GhostBSD 3.0 is now available for testing. The last development release was too buggy due to some last minute changes. I decide to release another testing release which might contain some bugs and other problems, which have not been discovered during beta tests so we still only encourage you to run it only on non-critical systems. All /home/user file and folder have been fixed (this was causing LibreOffice and other application to fail). We downsized the i386 Openbox image to fit on a CD." Here is the brief release announcement. Download: GhostBSD-3.0-RC4-gnome2-i386.iso (974MB, SHA256), GhostBSD-3.0-RC4-lxde-i386.iso (609MB, SHA256), GhostBSD-3.0-RC4-gnome2-amd64.iso (1,029MB, SHA256), GhostBSD-3.0-RC4-lxde-amd64.iso (663MB, SHA256). Eric Turgeon has announced the availability of the third release candidate for GhostBSD 3.0, a FreeBSD-based operating system for the desktop with GNOME or LXDE: "The third release candidate of GhostBSD 3.0 now supports GNOME 2, LXDE and Openbox desktops and it is now available for testing. This is the last development release. While this is a release candidate, it might contain some bugs and other problems, which have not been discovered during beta tests so we still only encourage you to run it only on non-critical systems. Changes since RC2: FreeBSD 9.1-RC2 to FreeBSD 9.1-RC3; bwi and bwn firmware for Broadcom has been added to the default system; Openbox is now part of GhostBSD development; Mixmos have been added to LXDE...." See the release announcement for further information and known issues. Download: GhostBSD-3.0-RC3-gnome2-i386.iso (974MB, SHA256), GhostBSD-3.0-RC3-lxde-i386.iso (609MB, SHA256), GhostBSD-3.0-RC3-gnome2-amd64.iso (1,029MB, SHA256), GhostBSD-3.0-RC3-lxde-amd64.iso (663MB, SHA256). Eric Turgeon has announced the availability of the second release candidate for GhostBSD 3.0, a desktop-oriented operating system with GNOME or LXDE based on FreeBSD: "The second release candidate of GhostBSD 3.0 GNOME 2 and LXDE is now available for testing. Changes since LXDE RC1: FreeBSD 9.1-RC1 to FreeBSD 9.1-RC2; new WiFi configuration method; Firefox has replaced SeaMonkey; we have ported LXMusic to FreeBSD to replace Audacious; we have ported LxRandr to FreeBSD and add it; XChat has been added; X.Org is now automatically configured; Slim has been replace by GDM." See the release announcement for more details and known issues. Download: GhostBSD-3.0-RC2-gnome2-i386.iso (969MB, MD5), GhostBSD-3.0-RC2-lxde-i386.iso (628MB, MD5), GhostBSD-3.0-RC2-gnome2-amd64.iso (1,018MB, MD5), GhostBSD-3.0-RC2-lxde-amd64.iso (680MB, MD5). Eric Turgeon has announced that the first release candidate for GhostBSD 3.0, a FreeBSD-based operating system for the desktop (with GNOME 2), is ready for testing: "The first release candidate of GhostBSD 3.0 is now available. This release provides users and developers a system to test out new installer features in the upcoming release. RC1 may contain buggy code and features, so we encouraged you to run it only on non-critical systems. Changes since BETA1: FreeBSD 9.1-BETA1 to FreeBSD 9.1-RC1; Bxpkg got fixed - it now use 9-stable packages instead of 9.0 packages; if the installation gives an error it will now tell you; WiFi configuration in /etc/rc.conf. Know issue: ZFS is not fully tested. Report bugs on the mailing list, the development portal or on the forum." Here is the brief release announcement. Download: GhostBSD-3.0-RC1-gnome-i386.iso (998MB, SHA256), GhostBSD-3.0-RC1-gnome-amd64.iso (1,049MB, SHA256). Eric Turgeon has announced that the first beta release of GhostBSD 3, a FreeBSD-based desktop-oriented operating system with GNOME 2, is now ready for testing: "The GNOME 2 beta 1 images for the upcoming GhostBSD 3.0 are now available. This release provides users and developers a system to test out new installer features in the upcoming release. This beta may contain buggy code and features, so we encourage you to run it only on non-critical systems. Changes since stable 1: FreeBSD 9.1-BETA1; new look - more clean and clear; major installer bug has been fixed; the installer bug swamping the entire disk has been fixed; Rhythmbox tray icon has been fixed. New implementation to GhostBSD 3.0 GNOME: FreeBSD 9.1; GNOME 2 and 3 (GNOME 3 will be released later); new graphical installer and new look; support for ZFS; improvements to WiFi...." See the release announcement for further information and bug reporting instructions. Download: GhostBSD-3.0-BETA1-gnome-i386.iso (987MB), GhostBSD-3.0-BETA1-gnome-amd64.iso (1,040MB). 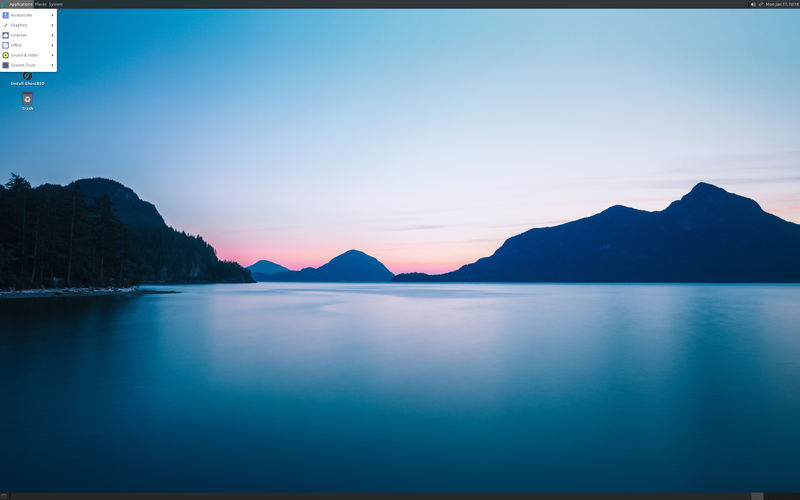 John Combs has announced the release of GhostBSD 2.5, a FreeBSD-based desktop operating system and live media with a choice of GNOME or LXDE desktops: "After months of work, the official final release of GhostBSD 2.5 is finally here! Many bugs have been fixed and many parts of the system updated, tweaked and fine-tuned. We now have two main branches of the system - one is based on GNOME desktop, the other on LXDE. Both fit perfectly on their respective media and are available in amd64 and i386 editions which can be downloaded in the form of CD/DVD or USB images. Enjoy and be sure to stop by on our forums or IRC channel to tell us what you think. We are currently on the point of setting goals for 3.0 release, so all feedback is encouraged and greatly appreciated. We hope you will have fun using GhostBSD 2.5!" Here is the brief release announcement. Download (MD5): GhostBSD-2.5-gnome-i386.iso (1,082MB), GhostBSD-2.5-lxde-i386.iso (625MB), GhostBSD-2.5-gnome-amd64.iso (1,145MB), GhostBSD-2.5-lxde-amd64.iso (681MB). John Combs has announced the availability of the third release candidate for GhostBSD 2.5, a FreeBSD-based desktop operating system with a choice of GNOME or LXDE desktops and a graphical system installer: "The newest version of GhostBSD 2.5 - RC3 is now available for download. 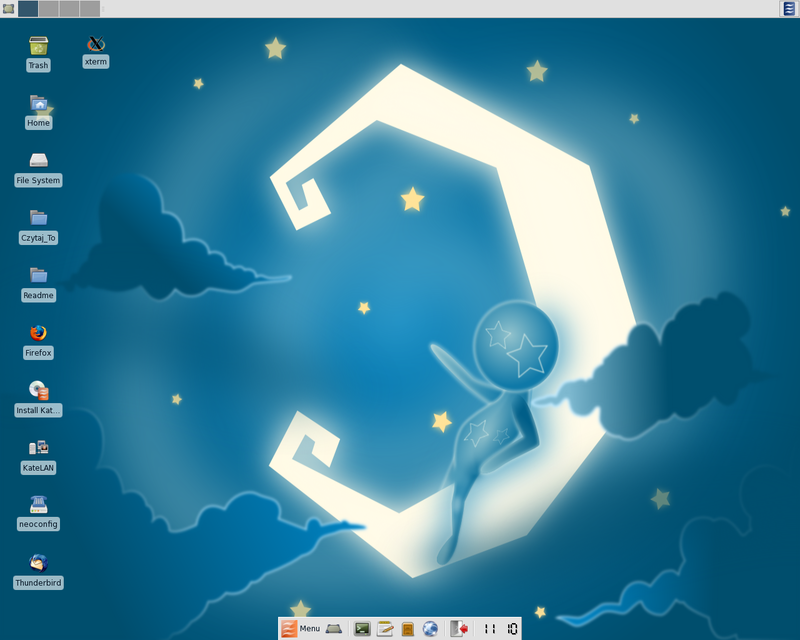 It is based upon FreeBSD 9.0-RC3 and includes a number of changes and bug fixes: CUPS should now be working with most printers; LXDE USB image and CD image are ready to download and use; GDM now allows users to choose their language for the GNOME session, the log-in credentials for GNOME session are 'ghostbsd' with password 'ghostbsd'; live session now has proper options to shut down and reboot via the menu; message about mounting problems during setup on GNOME no longer appears; used mkisofs instead of makefs to build images." See the rest of the release announcement for information about known issues and bug reporting. Download: GhostBSD-2.5-RC3-gnome-i386.iso (1,078MB), GhostBSD-2.5-RC3-lxde-i386.iso (602MB), GhostBSD-2.5-RC3-gnome-amd64.iso (1,142MB), GhostBSD-2.5-RC3-lxde-amd64.iso (682MB). Eric Turgeon has announced the availability of the second release candidate for GhostBSD 2.5, a FreeBSD-based desktop distribution featuring GNOME 2: "The second release candidate for the upcoming GhostBSD 2.5 is now available for download. This release is based upon FreeBSD 9.0-RC2. Notable changes include: added WiFi network manager for easier wireless connection configuration; additionally, the WiFi card is now being configured during live medium boot-up; added Florence virtual keyboard for future touch screen development; added e2fsprogs to support ext2, ext3 and ext4 file system. GhostBSD 'lite' (CD medium) will be a little late this time. We have decided to swap GNOME for LXDE desktop in that version. Known issues: Brasero on the amd64 architecture still closes itself on normal user when adding data; shutdown button is not available on the amd64 and i386 mediums...." Read the full release announcement for further information. Download: GhostBSD-2.5-RC2-i386.iso (1,106MB), GhostBSD-2.5-RC2-amd64.iso (955MB). Eric Turgeon has announced the availability of the first release candidate for GhostBSD 2.5, a FreeBSD-based desktop operating system featuring the GNOME 2.32 desktop: "GhostBSD 2.5 RC1 is out. List of bugs fixed: PiTiVi on i386; the free space output in the graphical and text-based installers; a third install option in the text-based installer. To install GhostBSD you have two options; a new option is by clicking on the GhostBSD Installer icon or Typing 'gbi' in a terminal for graphical installation. Type 'ginstall' in a terminal for the new text-based installer. Ginstall is a great tool for those who cannot get to the desktop or their keyboard and mouse don't work on the desktop. You will see that both GhostBSD lite (CD) and GhostBSD (DVD) have the installers; the difference is that GhostBSD lite is a smaller edition that fits on a CD." Here is the full release announcement. Download: GhostBSD-2.5-RC1-i386.iso (1,125MB), GhostBSD-2.5-RC1-amd64.iso (1,196MB), GhostBSD-2.5-lite-RC1-i386.iso (678MB), GhostBSD-2.5-lite-RC1-amd64.iso (682MB). Eric Turgeon has announced the availability of the third beta of GhostBSD 2.5, a user-friendly, GNOME-based FreeBSD distribution - now also with a live graphical installer: "The GhostBSD release is late following the FreeBSD 9.0 release status. We have only released beta 3 on October 30, 2011. List of bugs fixed: auto-mount on amd64 and PiTiVi on amd64; free space output on the GUI and text installer; second install option on text installer; Linux base system compatibility on DVD; Linux Flash player on DVD. To install GhostBSD you have two options. A new option is by clicking on the GhostBSD Installer icon or typing 'gbi' on terminal for GUI installation. Typing ginstall in a terminal is for the new text-mode installer. Ginstall is a great tool for those can get to GUI or their keyboard and mouse don't work on the GUI." Read the rest of the release announcement for more details. Download (MD5): GhostBSD-2.5-BETA3-i386.iso (967MB), GhostBSD-2.5-BETA3-amd64.iso (1,077MB), GhostBSD-2.5-BETA3-i386-lite.iso (669MB). Eric Turgeon has announced the availability of the second beta build of GhostBSD 2.5, a user-friendly, GNOME-based FreeBSD distribution in the form of an installable live CD/DVD: "The beta 2 is out, ready for testing. Take a note that it's based on FreeBSD 9.0 and the system is still buggy. Some security issues can occur. You can install GhostBSD by typing 'ginstall' in terminal for the new text-base installer or clicking on the GhostBSD Installer icon for GUI installation. If you see a typo or grammar error please let us know about it. The developers are not native English-speaking people. You will see that GhostBSD 'lite' (CD) and GhostBSD (DVD) both have the installer. The difference is that GhostBSD 'lite' is a lighter version to fit on a CD. A script will be released to install the rest of the applications and configurations. Report all bugs on the forum please!" Here is the brief release announcement. Download (MD5): GhostBSD-2.5-i386-BETA2.iso (805MB), GhostBSD-2.5-amd64-BETA2.iso (873MB), GhostBSD-2.5-lite-i386-BETA2.iso (625MB), GhostBSD-2.5-lite-amd64-BETA2.iso (684MB). John Combs has announced the release of GhostBSD 2.0, a FreeBSD-based live CD with GNOME, package manager and simple system installer: "GhostBSD 2.0 is released. Great news for this release of GhostBSD as it now supports auto-mounting USB devices. Some of the changes in the release: new logo, bug fixes, new live file system, more improvements to GDM (no more white screens during boot). GhostBSD 2.0 is based on FreeBSD 8.2; it includes GNOME 2.32, Rhythmbox 0.12.8_3, Pidgin 2.7.7, Firefox 3.6 and Thunderbird 3.0.11. GhostBSD 2.0 can be installed to hard disk with a simple terminal installer written in Python. You can now also install and delete application with a package manager call Bxpkg." Here is the brief release announcement with a screenshot of the default desktop. Download (MD5) the installable live DVD images from here: GhostBSD-2.0-i386.iso (1,139MB), GhostBSD-2.0-amd64.iso (1,383MB). John Combs has announced that the first beta release of GhostBSD 2.0, a FreeBSD-based live CD featuring the GNOME desktop, is ready for testing: "We, the developing team of GhostBSD, would like to announce the release of GhostBSD 2.0 x86_64 beta. This version is only a live CD at the moment. There are great improvements on the look, feel and the speed of this release. Some of the things that were done to the new release was our new logo, bug fixes, new live CD file system, and improvements to GDM where there is no more white screens during booting. GhostBSD 2.0 is based on FreeBSD 8.2. On GhostBSD 2.0 you will see GNOME 2.32, Rhythmbox 0.12.8, Pidgin 2.7.9, Firefox 3.6.13 and Thunderbird 3.1.7." Here is the brief release announcement with a screenshot. Download (available for 64-bit computers only): GhostBSD-2.0-x64-beta.iso (645MB). Eric Turgeon has announced the availability of GhostBSD 1.5, a FreeBSD-based live CD with GNOME and a work-in-progress graphical system installer: "GhostBSD 1.5 is out. We have updated to Gnome 2.30. Now you can install GhostBSD by terminal commands and a list with pc-sysinstall. The partitions supported to install GhostBSD are UFS, UFS+S (plus soft updates7), UFS+J (plus journaling8), ZFS, and SWAP. A 'how to install' is on the desktop. With GhostBSD in your hard drive you have Linux-f10 compatibility that means you can install Linux apps and Linux flash. Cups ready to use. Compiz installed and ready to use. This is the first installable version. Not so user friendly. But I have promised something. The last month all was going wrong and I decide to go with pc-sysinstall. Now for the next 6 months I will work on a graphic installer for 2.0. GhostBSD amd64 is coming the next week." Here is the brief release announcement. Download (MD5) this first installable version of GhostBSD: GhostBSD-1.5-x86.iso (1,547MB). Eric Turgeon has announced the availability of a beta release of GhostBSD 1.5, a FreeBSD-based live CD with GNOME and a work-in-progress graphical system installer: "GhostBSD 1.5 beta is here. In this beta we have the back-end of the PC-BSD installer, but it is not configured to install GhostBSD. We have added CUPS and Compiz but we have not tested whether CUPS works. Compiz is part of the system but with an X.Org configuration that won't work with Compiz. But once the installer is completed, GhostBSD should be ready to use Compiz. I have tried to make the live CD mount devices but I have had some difficulties to make it work. Please, if you find a bug or have an idea or a solution to these problems, email me. The x86_64 edition will be released next week." Here is the brief release announcement. Those brave enough wishing to test this early beta release of GhostBSD 1.5 can download it from here: GhostBSD-1.5-beta.iso (680MB, MD5).